Meet Liz who volunteers with the Southampton Family Support Team. Our Family Support Volunteers provide a huge support to our work with families out in the community, in hospital and at home. 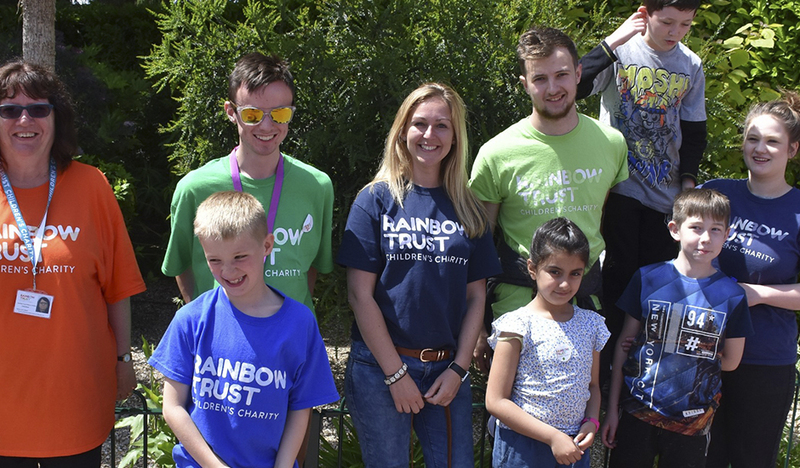 I first found out about Rainbow Trust online, I had lots of spare time and was searching for volunteer roles, I thought this would be an excellent charity to volunteer with. It was the perfect opportunity for me to give a little back to my local community. I love every minute of volunteering with Rainbow Trust it’s the special moments of a child’s smile and the interacting with them that just gets me! It’s amazing that however much time I can offer from a few hours to a day each week makes such a difference to the family that you are working with. It really is heart-warming. My distinctive memory is going to the playroom with a young girl so that she could spend some time away from the ward. We were jumping to pull the lanterns down from the ceiling and letting go of them so they bounced back up. I must have done it at least 50 times as she was in fits of giggles. That’s when you know you’re definitely making a difference. I would say volunteering for Rainbow Trust has been excellent; I have been fully supported throughout my volunteering and with training courses. They have a fantastic team who involve everyone regardless of whether you’re a volunteer or member of staff. You can do as much or as little as you would like and you do not in any way feel pressurised to help out. I like the fact that it is my time I am offering and that giving money has never been expected. The difference you will make to a family is overwhelming, definitely take that step. If you could sum up you’re volunteering in one sentence what would it be? A wonderful experience, every family’s story is unique; however the difference you make to that family is special. Check out our volunteering opportunities if you would like to get involved too.